Florida continues to grapple with a serious gasoline shortage as millions of motorists flee Hurricane Irma's path of destruction. 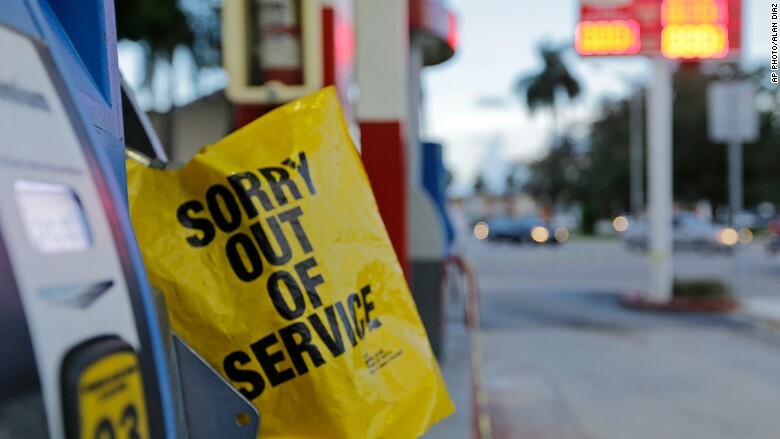 At least 37% of all gas stations in the Miami-Fort Lauderdale market were without fuel on Friday afternoon, according to estimates from crowdsourcing platform GasBuddy. Roughly one-third of the gas stations in West Palm Beach, Fort Myers-Naples and Tampa-St. Petersburg were also without gas. The fuel outages come as Florida officials order mandatory evacuations for many counties in South Florida ahead of the expected arrival of Hurricane Irma on Sunday. The storm, which is expected to remain at Category 4 strength, is extremely dangerous, packing 150 mile-per-hour winds and enormous amounts rainfall. "All Floridians should be prepared to evacuate soon," Florida Governor Rick Scott said on Friday. Even Tallahassee, the state capitol that is around 500 miles away from Miami, is experiencing outages in at least 25% of its gas stations, according to GasBuddy. A gas station runs out of fuel in Miami on Thursday ahead of Hurricane Irma. In Georgia, at least 12% of the gas stations in Savannah and Augusta were without fuel, GasBuddy reported. Another 17% of the gas stations in Charleston, South Carolina were empty. There are also some sporadic outages in North Carolina. The good news for Florida evacuees is that the state's ports are open and prioritizing fuel deliveries, for now at least. That's critical because virtually all of the Sunshine State's gas is delivered by waterways and Florida operates with minimal fuel supplies on-hand. 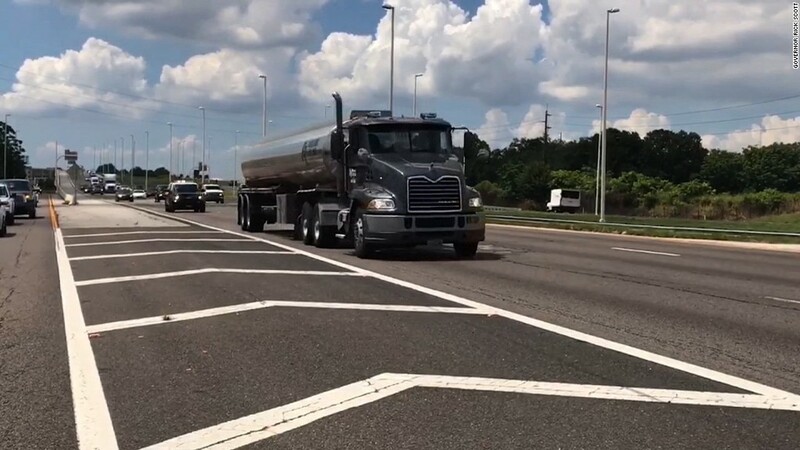 Governor Scott has also taken several steps to try to speed up gas deliveries and encourage gas stations to remain open as long as possible. He's gone so far as to offer police escorts for fuel delivery trucks shipping gas to stations along evacuation routes. Mostly due to the impact of Hurricane Harvey, the average gallon of gas in Florida sold for $2.73 on Friday, according to AAA. That's up from $2.28 a month ago.